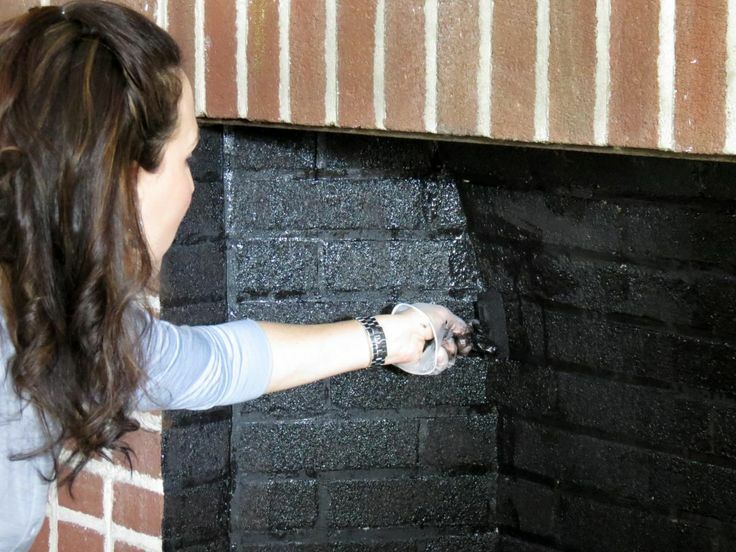 Painting the inside of a firebox can be done quickly and easily with high temperature paint. This type of high heat paint is a must so the paint won’t chip, peel, or blister from the heat of a fire. High temperature paint will withstand heat up to about 1200 degrees Fahrenheit and is made to be used on wood stoves and grills as well as in the firebox of a fireplace. 1. Choose a high temperature paint and a color. Rutland makes a good high heat paint that comes in either a brush-on or spray can. There are a variety of colors to choose- from from basic black to almond or tan. Black is an excellent color choice since it hides soot stains from burning a real wood fire. If you don’t use your fireplace for burning wood, or if you burn gas logs, you might choose a lighter color to complement your fireplace. 2. Next, clean your firebox removing all soot, dirt, leftover wood and ashes. Make sure all the embers have died out and cooled before removal. If you have a log holder, move it out of the way as well. You’ll need a bucket or large trash bag, a broom and dustpan, and a shop vac if you have one. Shop vacs can be rented at some local hardware stores. Use a scrub brush and some soap and water or a good brick and stone cleaner to scrub the sides and floor of the firebox. Remember, any stains will be covered with the paint so don’t stress out about getting it looking perfect. 3. Last, brush-on or spray your high temperature firebox paint onto thesides and floor of your firebox. Make sure you open your doors and windows since the paint has a very strong odor until it dries. You can paint your metal log holder with the paint if you choose. Voila! Instant beauty and a fresh, clean backdrop for dancing flames.